The 1889 N88 Duke’s Cigarettes Terrors of America includes both sports and non-sports cards. Included in the set is a handful of baseball-themed cards. Dating for the set is all over the place. Some catalog this as an 1888 set. Others say it is from 1889 or 1890. 1889 seems to be the most common designation but may not be correct. A larger, jumbo set of these cards was also produced with the N136 set. Those cards have the Honest Long Cut name on the back as opposed to Duke’s Cigarettes. While the cards have the same pictures, they should not be confused as N88 cards. Boys are nameless and the images are generic. Still, despite that, these cards are still sought after by pre-war baseball card collectors. Titles are printed on each of the cards in various places. Most are at the bottom and they are printed in blue, red, or black ink. While most cards of these cards seen measure about 1 1/2″ x 2 3/4″, a slightly larger variation is known. The larger sized cards measure about 3″ and are about 1 3/4″ wide. Some of the cards have a light green or a decorative red border. The larger cards are rare and, as a result, more valuable. As stated here, the standard cards were packed in Duke’s Cigarettes packages with the larger ones being distributed in Duke’s Mixture Brand. That is evident because the backs have the Duke’s Mixture Brand name printed at the bottom instead of the Duke’s Cigarettes name that exists on the others. These cards have the same pictures as the other more common version so it can be difficult to tell them apart. If you are ever confused as to which version is which, look on the back. Also note that the border can cause some confusion. The cards pictured in the album, which are sometimes cut out (more on that in a bit) have a three-dimensional look and a shadowy green border on some sides. Those, however, are blank-backed. The authentic larger variation of the regular N88 cards will have the aforementioned Duke’s Mixture Brand name. 44. Say! Stop the game. Me galluses is gone wrong. Card No. 44 depicts a boy asking for the game to be stopped. While the type of game is initially in question, another boy looks to be in either a fielding or baserunning stance. That is actually the best evidence for this being a baseball card as a virtually identical drawing of a player in the background is included on Card No. 1 The Umpire – a definite baseball card. 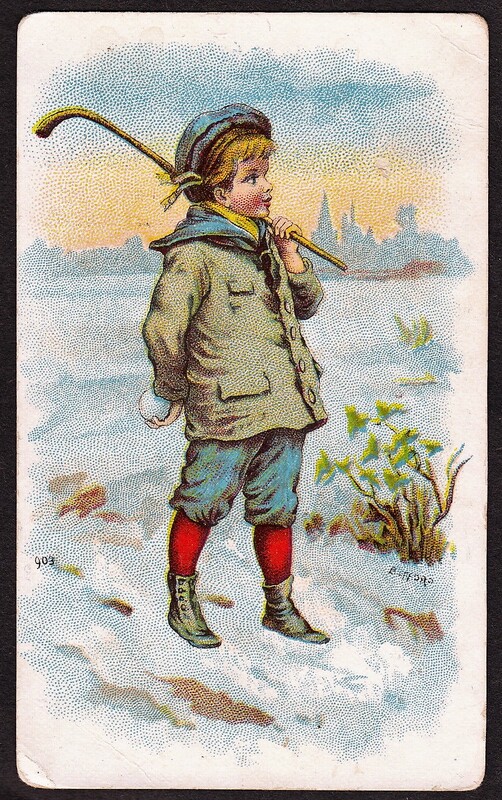 In addition, the main subject on the card is wearing a baseball cap. And considering that baseball has such a prominent role in the set, the game in question would appear to be that one. Another card of note here is No. 3 – Foot Ball. One interesting fact is that while sometimes classified as having a football card, that is not really the case. In the picture, a boy is seen clutching his shin in pain. 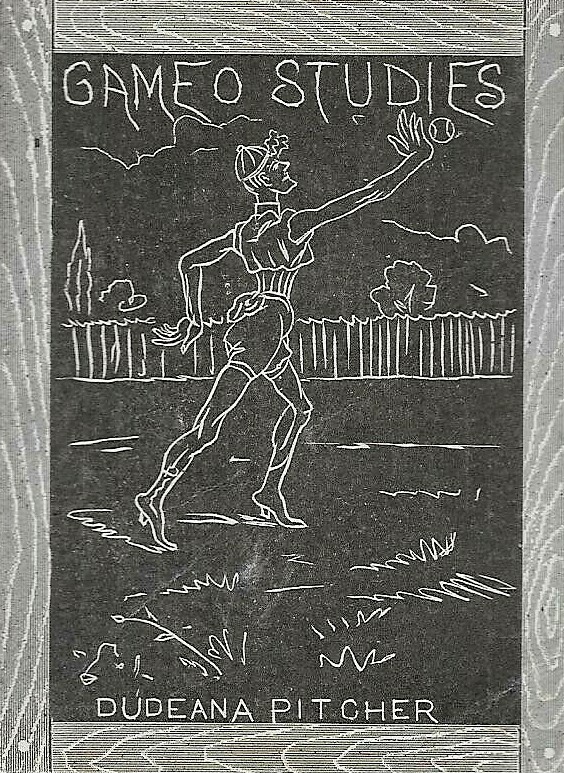 Some collectors, without having seen the card, have jumped to conclusion and assumed that the card is an early football card. However, it is more than likely linked to the sport of baseball. A small ball has struck the boy’s shin and, in the background, two boys appear to be standing by a base. In all, there are nine cards here related to the sport of baseball. Proof sheets for this set or a similar one are also known. These sheets each include ten of the N88 cards on them. However, it is unknown if they are proofs for this set or were supposed to be for an entirely different set. Reason for the lack of clarification is found on the sheets, which titles them ‘Young America’ set. The sheets are blank-backed and not affiliated with a tobacco manufacturer. My guess is that, because the cards had the same design with the same titles, Young America simply could have been a name that was a possibility for this set before the Terrors of America name was selected. However, several pre-war sets shared images and it is certainly possible that these were intended to be a different issue. These sheets very much remain a mystery of sorts. Finally, like other 19th Century tobacco issues, an accompanying album was produced for this set. The album is cataloged as A33. In it, pictures of all 50 cards were included. Some collectors would cut those pictures out and keep them as actual cards. While album cuts do have some value, they are not as valuable as the regular cards. One distinguishing characteristic of the album cards is that they have a three-dimensional look with a greenish shadow emerging from some sides. This is seen on the card on the cover of the picture on the album as you can see it on the bottom and to the right. If cards are trimmed from the book, some may exhibit a part of that if not cut to entirely remove it. Thus, if you see individual cards out there with a light greenish border on some sides and they are blank-backed/thinner, assuming they do not have skinned backs (remember, some, if not all, of the Duke’s Mixture cards have the greenish borders) you know they were cut from these albums and were not the cards distributed in cigarette packs. Here is a checklist of the entire set. Note that the final card, Thanksgiving Day, is not listed on the N88 backs and only 49 cards appear in that listing. Baseball cards are in bold below.